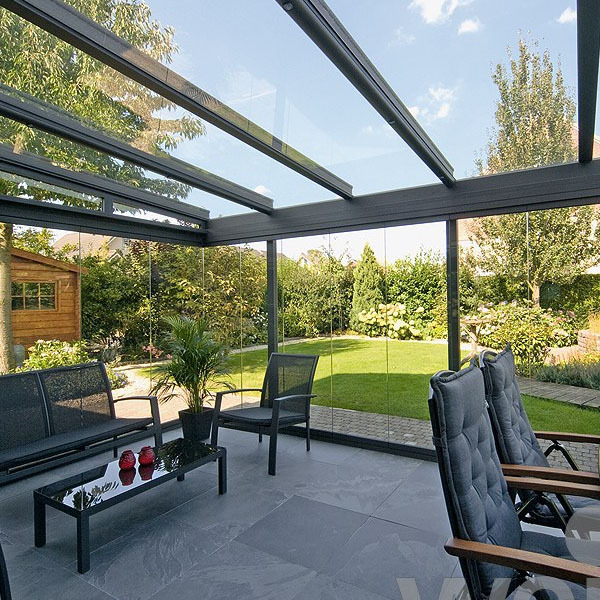 All year round weather protection with an almost frameless view of your garden- spend hours of enjoyment in your garden glass room and let a place filled with light and transparency work its magic on you. The various glass elements available in our glass rooms allow this fantastic ‘outdoor room’ to be as varied as your imagination. 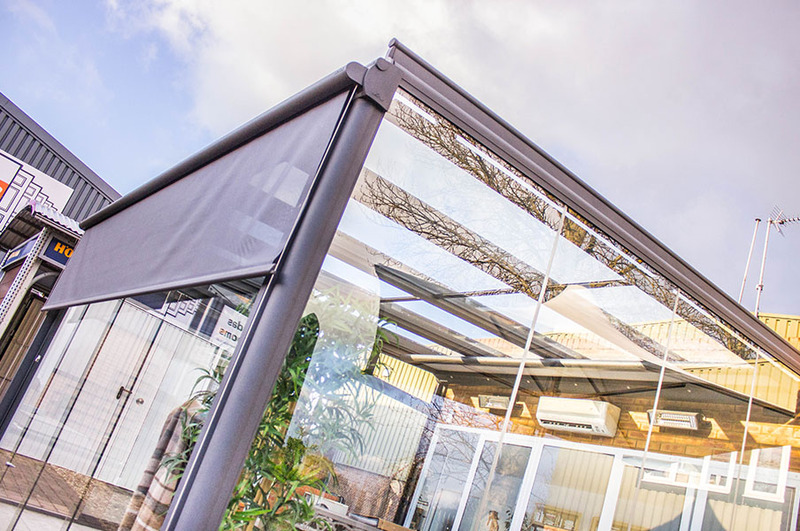 Samson Awnings specialise in the supply and installation of custom built garden glass rooms and verandas to your exact requirement, size, colour and shape. From budget to luxury specifications we have a solution available. A glass garden room should be ideally offering sheltered protection all year round yet remain fully interactive with the outdoors thanks to its innovative clear glass elements, doors and blinds. 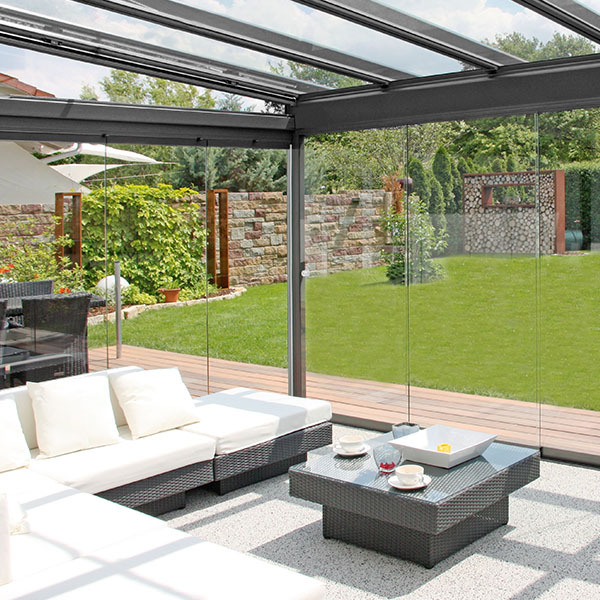 This can be assisted with the fantastically clear glass elements which offer a spectacular panoramic view of your garden providing your room with a fresh, vibrant and natural feel. A garden glass room is the perfect way to fully enjoy a natural unobstructed view of your garden whilst enjoying the comfort of your home. And to ensure that your view is always unobstructed when the front glazed panels are closed, we fit our garden glass rooms with frameless glass panel elements as standard. With no profiles needed to support them, the glass panels stand with edge to edge glass, allowing you to enjoy an uninterrupted panoramic view of your surroundings. When the weather warms up, simply slide the glass panels to one side and allow the natural fresh air inside. 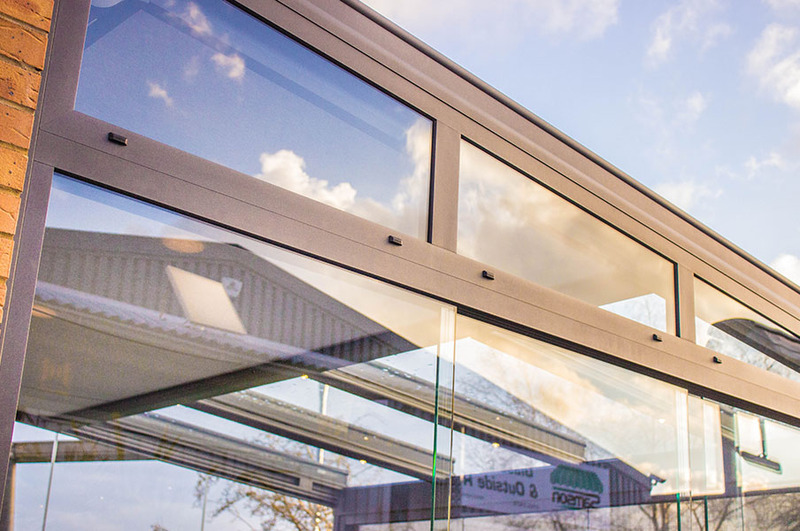 The choice of fixed, sliding or bi-folding glass sides gives total flexibility to how you build your glass room with manual or electric blinds for the roof and sides also available. 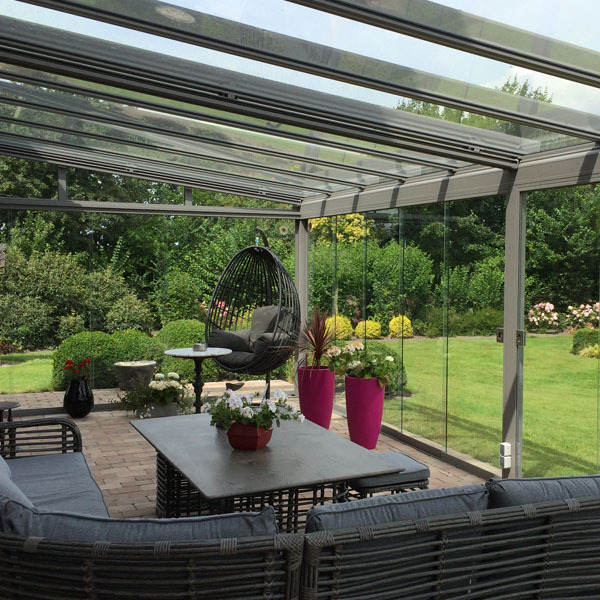 Whether installed on a house, old or new, a garden glass room from Samson Awnings will become both an architectural highlight and a frequently used extension of your home. Unlike your average conservatory, the construction work required in a garden glass room installation is minimal meaning a faster installation time. No foundation work is usually required and no alterations to your home are usually required either. Most of the time, you won’t even need to apply for planning permission! 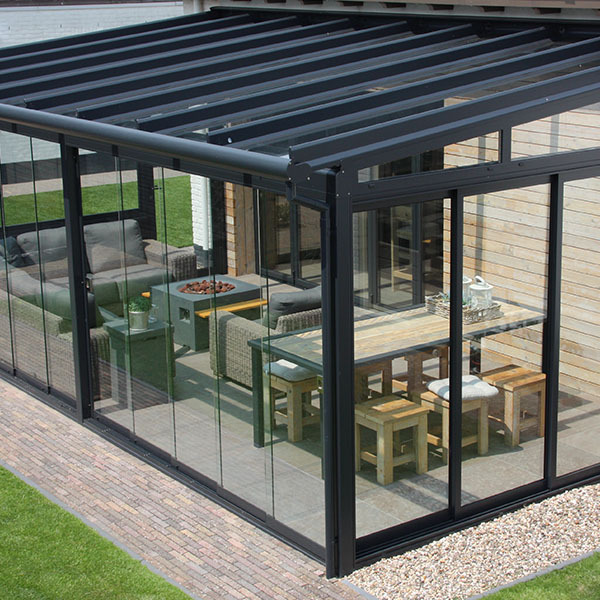 For true protection from the very changeable British weather the garden glass room option is the most flexible. 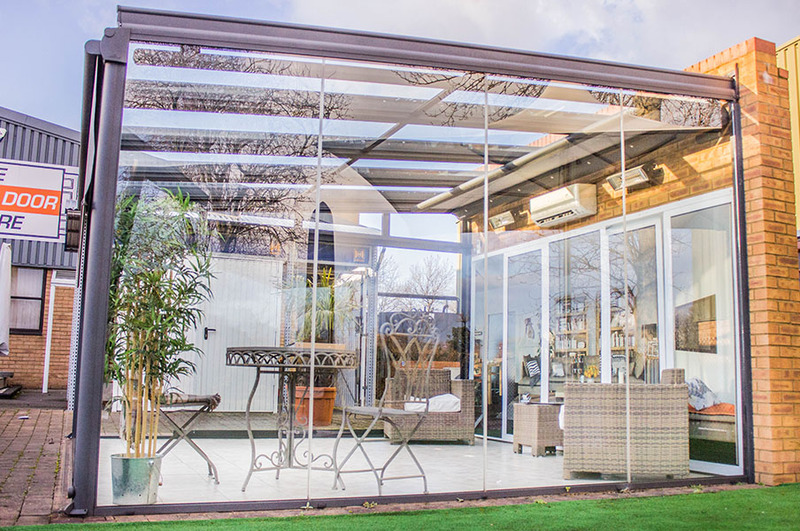 The combination of a glass roof with optional fabric blind systems to protect from the glare and heat of the sun and frame-less glass side elements for total control of air movement and protection from rain you will have a truly functional all year round outdoor room for entertaining or relaxing. During the colder winter months, Samson Awnings garden glass room’s sophisticated design provides maximum safety and a long life. Particular focus was placed on the stresses caused by weather conditions, such as the forces placed on them by wind and snow. 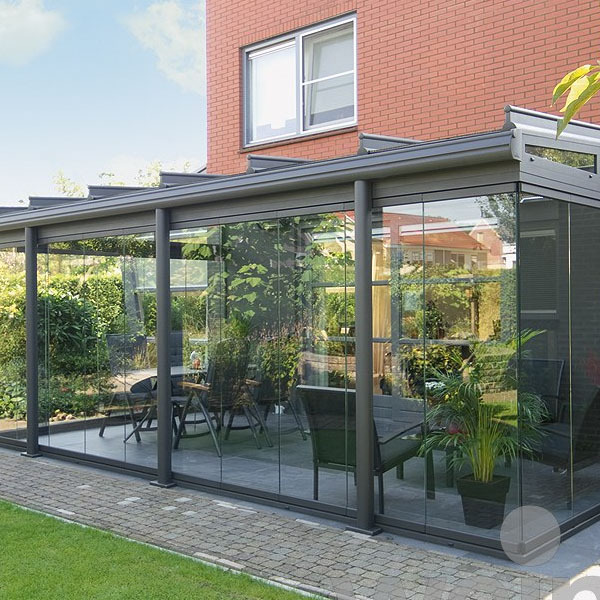 All components are produced industrially as series products – this ensures each garden glass room we produce is manufactured to the highest quality. 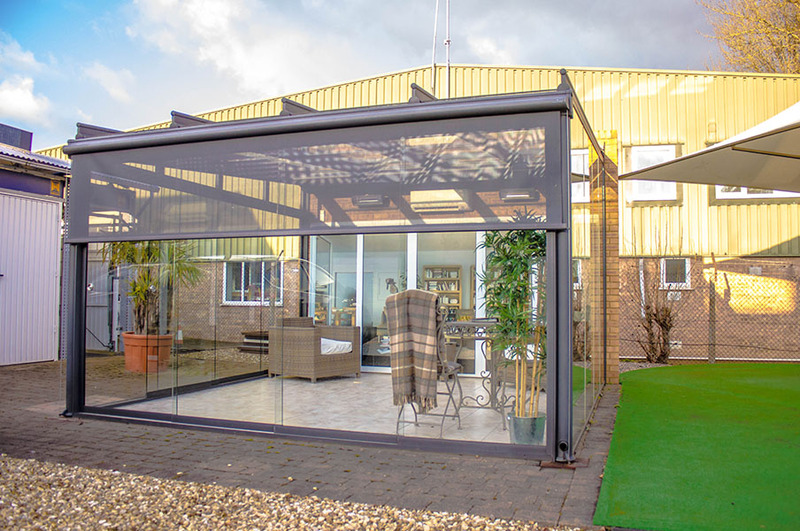 With appropriate specification you can use your glass room all year round in comfort.The entire glass room structure is manufactured in Germany to the very highest standards and each room is purpose built to your requirements. 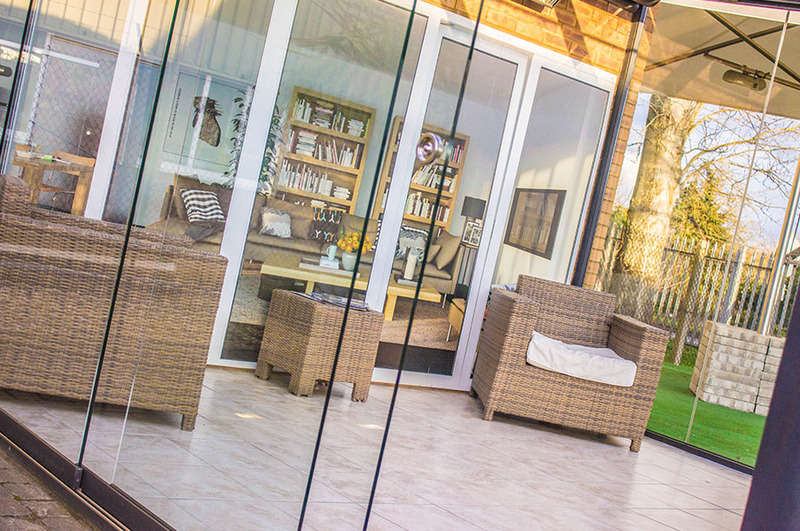 Constructed to suit each individual customer, our garden glass rooms are made to suit both the shape and look of your house. Even if there are protruding walls, corners or balconies, our rooms are able to cope with us. We will be happy to help and advice you in detail and help you determine which roof shape is the best alternative for your house. With a range of high quality heating and LEd lighting systems, it is no possible to enioy your harden glass room long into the night. The LUX design light bar provides adjustable lighting which offers beautiful lighting inside your glassroom. The latest LED lighting added to some or all of the internal roof bars will provide enough light for any occasion and is also dimmable at the touch of a button on a remote control handset. This LED lighting is very low in energy consumption and the LED bulbs will last for years. With a range of high quality heating and LED lighting systems, it is now possible to enjoy your garden glass room long into the night. These systems, described below, can be viewed here. The Lux Design light bar provides adjustable lighting which offers beautiful lighting inside your glass room. The latest LED lighting added to some or all of the internal roof bars will provide enough light for any occasion and is also dimmable at the touch of a button on a remote control handset. This LED lighting is very low in energy consumption and the LED bulbs will last for years. When things get cooler outdoors, the Tempura patio heating system radiates a senuous warmth to offer comfort. 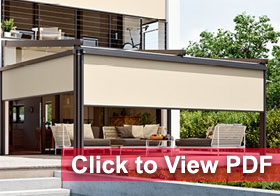 The combination of patio roof, glass side elements, awning and ventilation is built to last. Our range of glass garden rooms can be used from spring until deep into autumn. Thanks to sliding skylights and roof vents, a healthy climate is achieved all the time. The ongoing air circulation creates a calm, peaceful atmosphere – and by adding a roof vent and sliding skylight, heat build-up within the glass garden room can be avoided. Awnings can be used in conjunction with our garden glass rooms to create the atmosphere you desire. The WGM externally fitted roof awning is available for external overhead protection against the sun. This is recommended when air circulation is poor. It is ideal for keeping temperatures low and reflecting heat and should be a standard request for a South facing garden heavily exposed to sunlight. 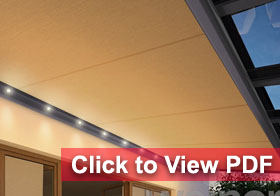 The Sottezza awning is fitted underneath your patio roof. 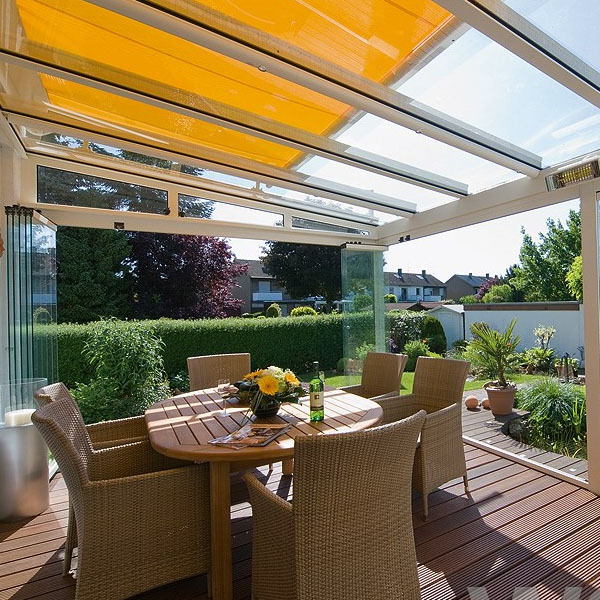 This overhead awning provides an effective level of shade to help you relax, entertain guests, take part in recreational activities and more in the cool temperatures of your garden glass room. 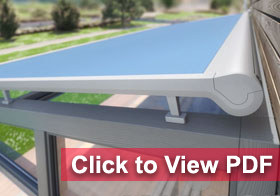 It’s design fully complements your patio roof and is discreet when closed internally. The VertiTex vertical blind is the perfect sight and anti-glare screen. When used with a fabric from our Soltis collection, you can see everything from the inside but are totally hidden when viewed from the outside. 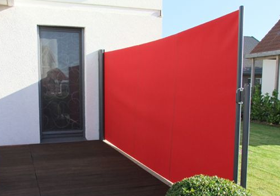 The Paravento is a side screen which helps protect side windows from both the sun and nosey neighbours. This system is available colour coded to match your garden glass room.